Delegate Gregorio Kilili Camacho Sablan (Ind-MP) announced two major grants of federal funds for the Commonwealth provided by U.S. Congress through the Individuals with Disabilities Education Act. “The first grant is $4,839,486,” Sablan said. 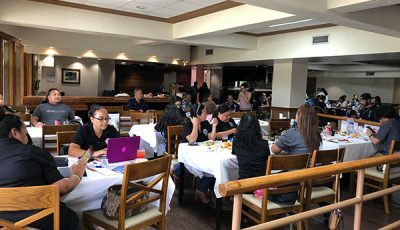 “The money is specifically to assist in providing an appropriate education to all children in the Marianas, ages 3 to 21, with disabilities. Sablan is a senior member of the House Education and the Workforce Committee, which has responsibility for the Individuals with Disabilities Act. “Providing services to children with disabilities is so important, both to the children and to society at large. The more we can help those children reach their full potential the more fulfilled their lives will be and the more they will able to be contribute fully to the life of our islands. And, of course, the earlier we can start helping, the better the success rate. “Yet, Congress has not reauthorized the IDEA since 2004,” Sablan added. 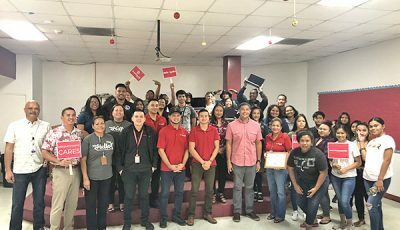 In 2015, Sablan was able to include a change in the funding formula for island schools with a high number of students from low-income households, when the Elementary and Secondary Education Act was reauthorized. Sablan’s change boosted the funding for PSS this year to $11.5 million. And that change now continues year-after-year. The IDEA grant for children ages 3 to 21 is used by the Public School System to identify and evaluate all children with disabilities, regardless of the severity of their disability, to determine which children are eligible for special education and related services. The law requires that each child receiving services have an Individualized Education Program (IEP) that spells out the specific special education and related services to be provided to meet his or her needs.